Red2120's Club Penguin Cheats, Secrets, And Give Aways! : New Club Penguin Music! Hello guys! 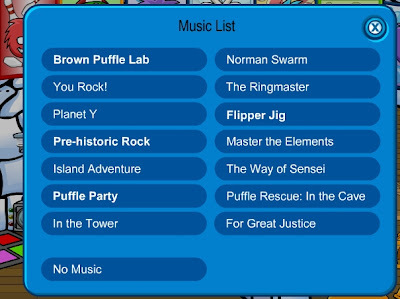 If you go to your igloo and open up your music player, you will find some very nice music to go with your new puffle igloo!